I have a fairly sized collection of complete Harry Potter sets (Diagon Alley, Hagrids Hut, Knight Bus, The Shrieking Shack, The Burrow as well as some earlier sets such the Forbidden corridor and the Final Challenge) that are all complete, they have only been used for display and to satisfy my completist streak. Due to moving to a new town, economising on space, and compromising with my Girlfriend I am looking to sell what I can, am I better off doing this as a lot or individually? Is ebay the right place to start? As with most things on ebay, the prices of these sets is inconsistent but I'm not out to sell for really high prices. Any advice would me much appreciated, many thanks. I know that a lot of people on here are big harry potter fans. I'd post a complete list and try to sell them individually... I bet you get some bites on here. What country are you based? ^ was probably taken with a phone, turned sideways. For some reason phone images with the phone turned are notorious for showing upright in some cases and sideways in others. 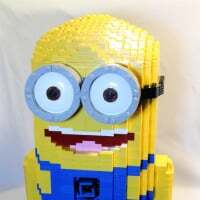 Hi Legoboy, haha! Unfortunately, graphite in right, it's the only photo I had on this tablet! I should add as well that all of these sets are complete without exception. What sort of prices are you looking for those sets please? Mark- I might be interested in them to... do they have box and instructions? Smoke/pet free home? Thanks for all the information. Most of the larger, most recent sets have boxes and instructions. From both smoke, pet and child free home. I have looked at some price stuff, but would be keen to bundle sets together etc. if there are any sets you are keen on particularly, please dm me and I can have a look at decent prices etc. Hi guys, I have had a look at this today, and have the following. These are all put here with a general ? after them, I'm no expert again and have tried to be realistic. Just let me know if you have any questions etc. 4735 £13- this one is more than one set, I bought a used set that was missing a few pieces so bought another incomplete set on top.